328€ 2005mm Ø24mm 500g Nemeth Javelins' Nemeth SC 60m HAR (Humane Aluminum Response) Olympic quality competition javelin. Recommended for technically skilled, physically capable throwers. Requires accurate release. 312€ 2005mm Ø24mm 500g The excellent Nemeth SC 50m HAR (Humane Aluminum Response) competition and practice quality javelin. Recommended for technically advanced, physically capable throwers with developing results. Good compensation in case of less accurate release. 289€ 2005mm Ø24mm 500g The excellent Nemeth SC 40m HAR (Humane Aluminum Response) competition and practice quality javelin. Recommended for technically intermediate throwers with developing physical abilities. Good compensation in case of inaccurate release. 180€ 2005mm Ø24mm 500g High quality Nemeth UT javelin. Recommended for technically beginner throwers, students. Good compensation in case of inaccurate release. Suitable for practices. 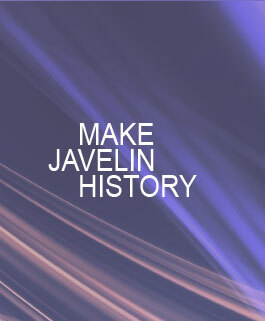 You can download our Aluminum 500g Javelins catalogue here: Aluminum 500g Javelins Catalogue.